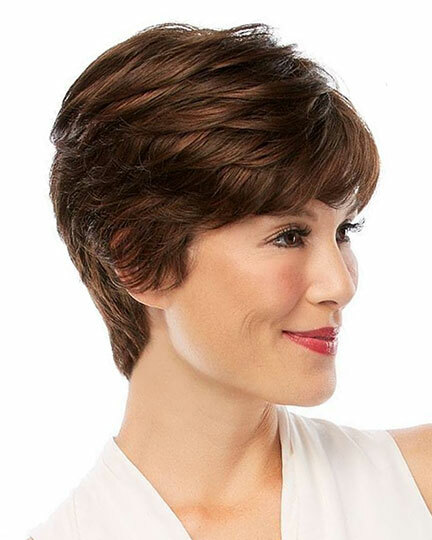 Bangs: 3.5", Crown: 3.75", Sides: 3.5", Nape: 3.5"
Peaches by Jon Renau is a short, loosely curled style with bangs to frame your face. 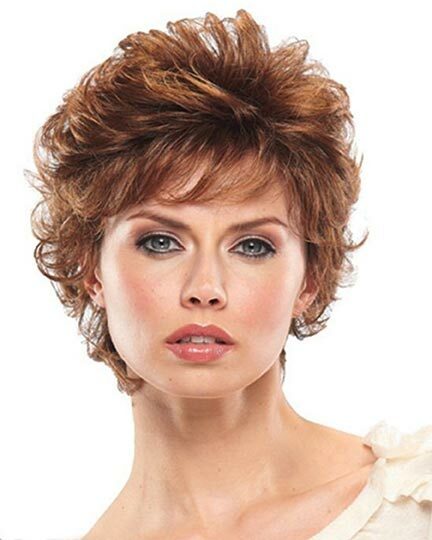 Jon Renau Peaches wigs feature an open cap (open cap) construction allowing superior ventilation for maximum scalp cooling. 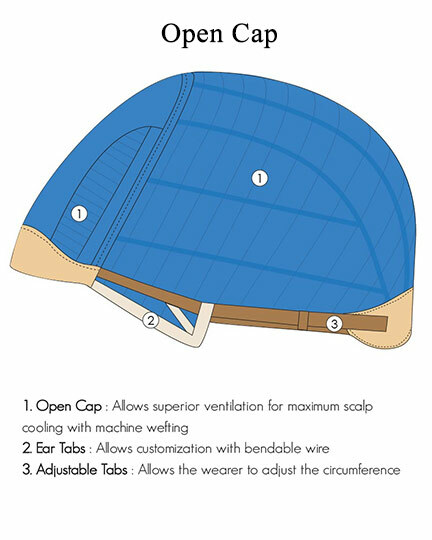 There are adjustable tabs for customizing the fit of the Peaches wig's circumference, with additional customization using the bendable wires in the ear tabs. 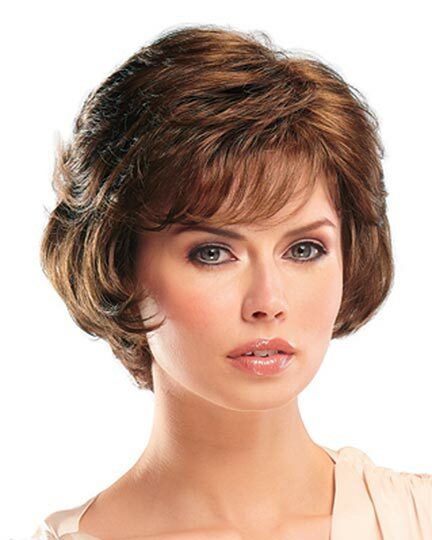 A Peaches wig is a smart choice for chemotherapy and alopeica patients. 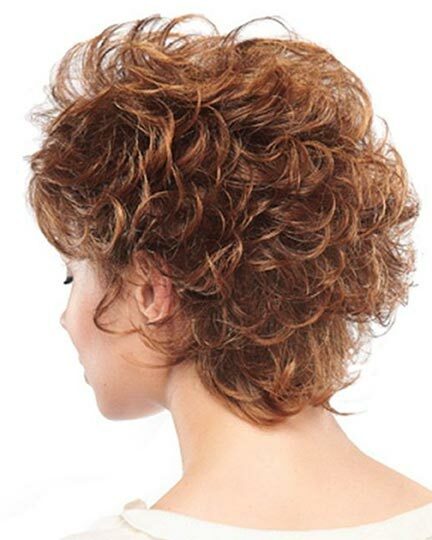 The Peaches wig weighs 68 grams. 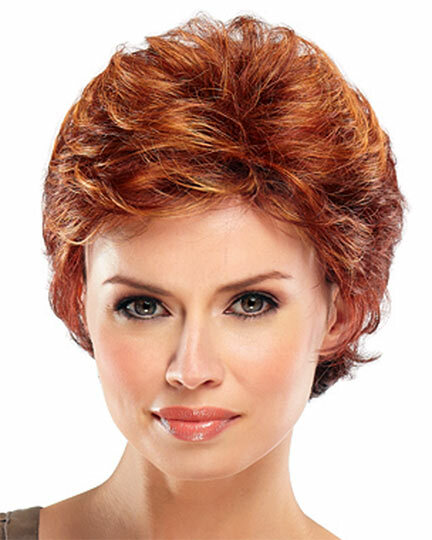 There are 1 colors available for this SPECIAL PRICE on Peaches. 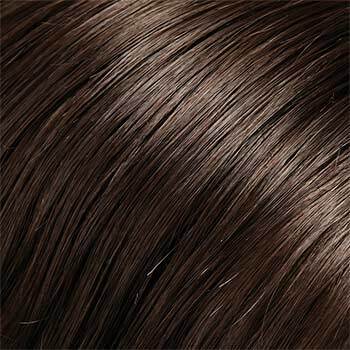 To Buy Peaches, Click On A Small Swatch Below. If you would like to discover other products that share some of Peaches's qualities try the links below. 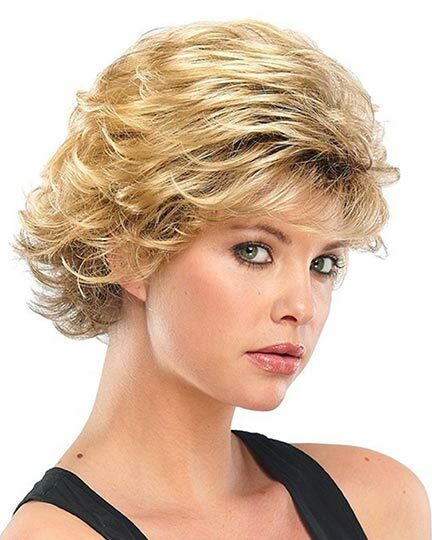 Customer service excellent, delivery prompt, beautiful color and beautiful wig, but may have to exchange for style. Not sure yet if it is for me. 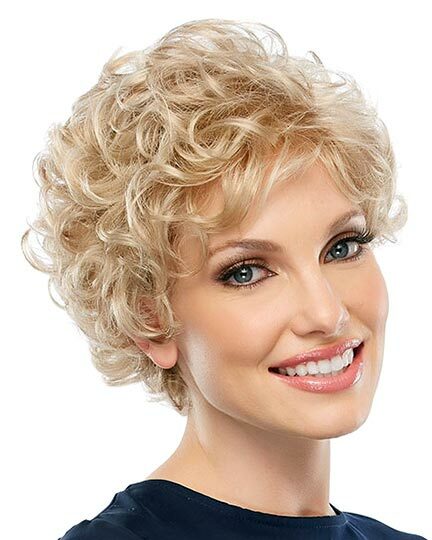 I have been a customer of "the other wig company" and must say that when I order any wig from E-Wig (although a wee bit expensive) I m secure in the knowledge that the wig will meet all my requirements as pictured and described by E-Wigs. That always makes the difference!